Dreamy indies, Tales, formerly known as The Winter Gypsy, have announced their brand new band name, alongside a lush new single, So Blue. So Blue is an intricate arrangement of a wide variation of different, intriguing musical and lyrical ideas. They have also announced a stunning video to accompany the track, co-directed by Rory Pipan (Mallrat, Tigerilla, DJ Tigerlily), Luke Franceschini and Nikita Kimiye, and will launch the single alongside Timberwolf on stage at Crown And Anchor (Adelaide) on September 28. So Blue is demonstrative of the kind of magic that happens when artists allow themselves to be open to any new idea that surfaces. The track is opulent, with exquisite strings and horns arrangements, sitting perfectly atop a bed of gentle indie folk guitars and percussion. There's a lot going on, but everything fits well into place, as Tales' thoughtful lyricism also floats above it all. Lead vocalist Tushar Singh reflects on the songwriting process, which was a collaborative one, saying, "This track was co-written with our friend Timberwolf (Chris Panousakis). I took the song to him with only the chorus written, and Chris really helped bring the song to life for us. For us it's essentially about living with free minds and not letting little issues strike us down in times of vulnerability. We worked hard to fuse dark and light sounds into this one, so it lifts you but gives you chills too. The build in this track is so epic, it definitely pulls on the heartstrings for us!" The clip for So Blue takes this exploration of vulnerability to a visual level, and the result is extraordinary. Set in the early '90s, with beautifully-framed shots and delicate natural light, the clip follows a young man and his everyday stuggle to find himself. Through each scene, the viewer gains an insight into his life. Tush elaborates on this theme, saying, "This clip portrays a man going through the process of dealing with a dark time in his life. It shows the vulnerability in one person, and how it can slowly but surely effect you in times of struggle. It's very imagery and metaphor-heavy – it's a piece of art that we're proud of." Tales, formerly known as The Winter Gypsy, decided that a name change was the right move for the band at this point in time, as Tush says, "We wanted to change our name for a few reasons – 'gypsy' is an outdated term and we want to stay relevant and respectful. We also felt that being locked down by our name to an indie folk image wasn't something we wanted in the long term. This release gave us a way to make the change cleanly and we feel very good about it – excited even, for something new and different." The group certainly have a lot to be excited about. 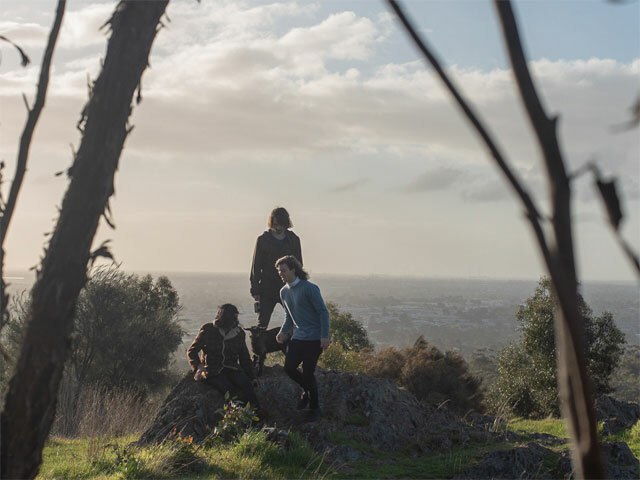 They've been mentored by Stu MacQueen and Dan Crannitch from Aussie label and management company Wonderlick (Amy Shark, Montaigne, Boy & Bear) and the past 12 months have been huge, taking out the SA Music Awards 'Best Folk Artist' category and performing at 2018's Scouted festival, as Tush reflects, "(The mentorship has) been such a huge eye opener for us, in terms of working our way up, to be more established as a band. We've never been mentored before, so this was such an amazing experience for us. They've really helped us pave a path for our next step in what we hope, is the right direction!" So Blue is available now. Question: Why have you change your band name? Tushar Singh: We wanted to change our name for a few reasons – 'gypsy' is an outdated term and we want to stay relevant and respectful. We also felt that being locked down by our name to an indie folk image wasn't something we wanted in the long term. This release gave us a way to make the change cleanly and we feel very good about it – excited even, for something new and different. Question: Where did the name, Tales, come from? Tushar Singh: Tales was actually the name of my solo project that I'd been working on. We decided that most of my solo material could actually fit in with the band's writing, so we decided it would be an easy and perfect fit to merge the two projects together. Question: What else is new for you guys? 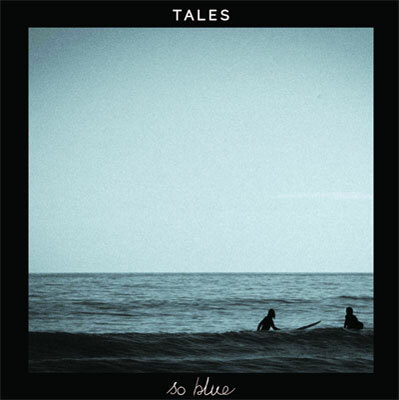 Tushar Singh: Nothing too new except for the name change and the new single, 'So Blue'! Question: How does Tales showcase your sound more accurately? Tushar Singh: It shies away from being pigeon holed into a 'Folk' category, like our previous name, 'The Winter Gypsy'. We've recently been leaning towards a more dreamy Indie/Alternative sound. We can't wait to get these new tracks on the way! Question: What inspired the new single, So Blue? Tushar Singh: Our good friend, Chris Panousakis (Timberwolf) was a huge inspiration to this track. His co-writing skills and production really brought this tune to life for us. Big shout out to Jackson Barclay for mixing and producing this track as well! Question: Can you tell us about filming the video clip for So Blue? Tushar Singh: The clip for So Blue takes this exploration of vulnerability to a visual level, and the result is extraordinary. Set in the early '90s, with beautifully-framed shots and delicate natural light, the clip follows a young man and his everyday struggle to find himself. Through each scene, the viewer gains an insight into his life. It's very imagery and metaphor-heavy – it's a piece of art that we're proud of. Credit to our directors: Rory Pippan, Luke Franceschini and Nikita Kimiye. And to our Actors: Kieran Hookway and Clare McGarvey. Question: How does Tales sound differ from that of The Winter Gypsy? Tushar Singh: Moving away from that folk sound and diving into a more dreamy Indie sound. Question: What can we expect from the upcoming launch? Tushar Singh: We'll be debuting a bunch of new songs! Can't wait. Tushar Singh: Hopefully we'll be back in the studio next month, gearing up for our next release!